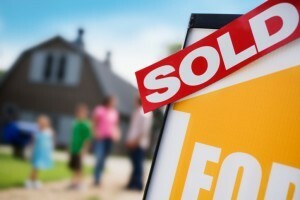 Take your home from “for sale” to “sold” with these home staging tips. Are you an Annapolis homeowner interested in selling your home? Don’t know where to start? At Columbia Paint Company, we’ve been helping homeowners with home stagings for years. There are a few things that you can do to update your home and increase its appeal as well as your ROI. Even if you have an immaculate, updated home, it still may not be properly staged. Here are our home staging tips for making your home appeal to potential buyers. Many homeowners believe that staging a home means decorating it. When home staging, you should actually do to opposite. Since you are selling your home, it’s important for you to detach yourself from it. This means that the decor that is valuable to you, like your tea set collection or piles upon piles of books, need to be hidden. These decorations have sentimental value to you, but they won’t translate to anything to potential buyers besides clutter. Your home should appear as a blank slate that potential buyers can imagine themselves living in. If they are not a fan of your favorite Elvis rug, then it could potentially turn away buyers. It may seem like a small change, but a fresh coat of paint can make your house look newer and more modern. Old walls that have scuffs don’t look appealing to potential buyers. However, a fresh coat of paint makes an old home look brand new. Choosing the right colors can also go a long way. Even a single accent wall can change the entire personality of a room. You can even add a fresh coat of paint to a wooden furniture or kitchen cabinets to further freshen up your interior. Our design consultants can visit your home to suggest the best colors to use to bring out the resale value and quality of your home.